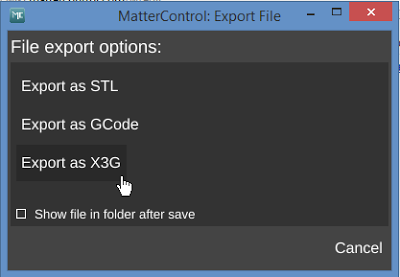 Export G-Code as X3G is a new experimental feature, available in version 1.1.3 and above, that gives Makerbot and Flashforge users the option of using MatterControl to create X3G files from and save them to the SD card on their Makerbot Machines. 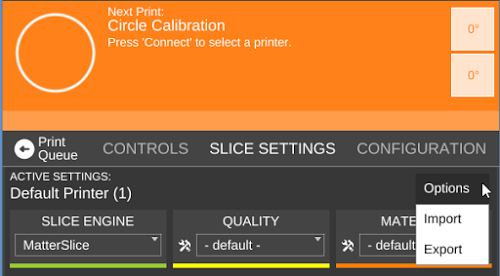 You can save directly to your SD card or move it from wherever you choose to save. That's it! 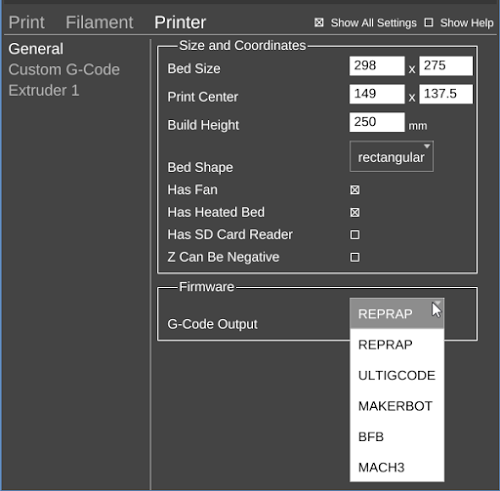 You are ready to print!